Surrey, B.C. 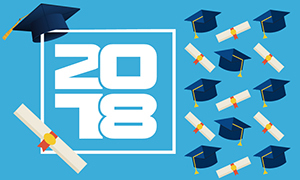 – September 13, 2018 – The deadline for the UFCW 247 scholarship and education grant, offering the local union’s members more than $20,000 in post-secondary assistance is fast approaching. Every year, UFCW Local 247 awards their members and eligible dependents up to ten $1,500 scholarships for full-time students, plus an additional eight scholarships at $750 each for part-time studies or academic upgrading. The scholarships are available to all Local 247 members, and the deadline is September 28. Check out the Local 247 Scholarship and Education Grant information and application page to find out more. In addition to the Local 247 scholarship, UFCW Canada offers more than 25 union scholarships, freely available to all UFCW Canada members and their families every year, totaling $300,000-plus.